Media caption"One expert says the missile could reach Alaska"
The US has sought an urgent meeting of the UN Security Council to discuss North Korea's new missile provocation. A closed-door session of the 15-member council is expected on 5 July. The request came after North Korea said it had successfully tested its first intercontinental ballistic missile. US officials believe the claim is likely true, meaning the North may now be able to fire a missile to Alaska. Experts say it cannot accurately hit a target, however. China and Russia, which share a land border with North Korea, have called for a freeze on Kim Jong-un's nuclear programme. They urged the US and South Korea to suspend large-scale military exercises. The two countries also called on the US to avoid deploying the Thaad missile system - which aims to intercept attacks from Pyongyang - in South Korea. Chinese President Xi Jinping was in Moscow, where he held talks with Russian President Vladimir Putin. What did North Korea say? 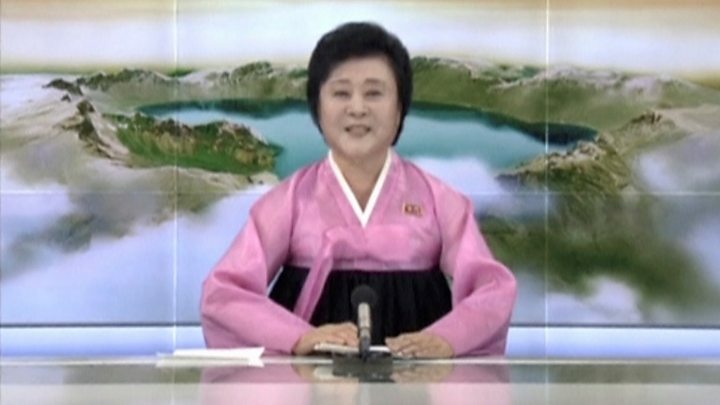 The announcement on North Korea state television said the Hwasong-14 intercontinental ballistic missile (ICBM) test was overseen by leader Kim Jong-un. 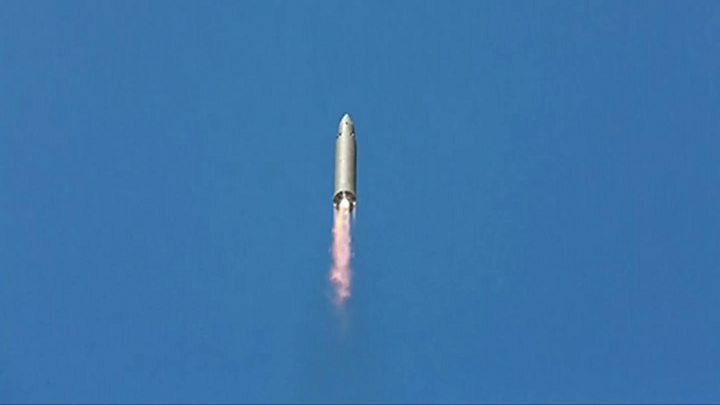 The launch, the latest in a series of tests, was in defiance of a ban by the UN Security Council. But experts also believe that Pyongyang does not have the capacity to miniaturise a nuclear warhead that can fit onto such a missile. Unnamed US officials told media that they believed the test was of an ICBM, with one authority saying that the claim was being "taken seriously". National security, military and diplomatic officials were discussing what to do if it is determined for certain that the test was with an intercontinental ballistic missile, CNN reported. Once again North Korea has defied the odds and thumbed its nose at the world in a single missile launch. With the test of the Hwasong-14, it has shown that it can likely reach intercontinental ballistic missile ranges, including putting Alaska at risk. Despite this technical achievement, however, it is likely many outside North Korea will continue to be sceptical. They will ask for proof of working guidance, re-entry vehicle, and even a nuclear warhead. South Korea's President Moon Jae-in has called on the United Nations Security Council to take steps against North Korea. But a strong warning came from the country's Director of Operations of the Joint Chiefs of Staff. Cho Han-Gya said "Kim Jong Un's regime will face destruction" if it "ignores our military's warnings and continues provocations". Japan said "repeated provocations like this are absolutely unacceptable" and Prime Minister Shinzo Abe said his country would "unite strongly" with the US and South Korea to put pressure on Pyongyang. On his Twitter account he made apparent reference to North Korean leader Kim Jong-un, saying: "Does this guy have anything better to do with his life? On the prospect of North Korea being able to strike the US, he tweeted in January: "It won't happen." However experts say it might - within five years or less. Meanwhile, UK Foreign Secretary Boris Johnson said the international community "must redouble its efforts to impose a price on this regime, which strains every nerve and sinew to build nuclear weapons and launch illegal missiles, even as the people of North Korea endure starvation and poverty".